Volume 4, Edition 21 Trouble loading? View this email online. The W.K. Kellogg Foundation has awarded CSUN a three-year grant worth more than $385,000 for a teacher-preparation project aimed at increasing the number of men who want to work in elementary education. 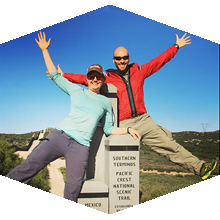 Andy Dischekenyan journeyed the 2,650-mile long Pacific Crest Trail from April to September — 171 days in total. Dischekenyan credits his time at CSUN for helping him complete this incredible journey. Students from nearly 40 high schools across the San Fernando Valley are showcasing their paintings, sculptures, photography and more at CSUN’s 20th annual art invitational. 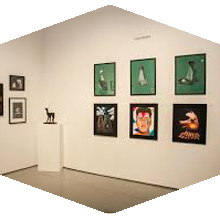 The exhibition will remain open until Jan. 28 at the CSUN Art Galleries. Sat, Jan. 21, 4 p.m.
It’s Harry Potter Night, and the pregame fun for all ages starts in the Leaky Cauldron (AKA: The Matadome Lobby) where fans can get a personalized acceptance letter to Hogwarts, a lightning bolt tattoo, photo booth fun and more. The first 100 youth under 13 will receive a wand! All guests are also invited to dress up in their best Harry Potter-themed attire. Prizes will be given out for the best costumes of the afternoon. Free tickets will be given to anyone donating new and unused pairs of socks, which will be donated to MEND of the San Fernando Valley. Sun, Jan. 22, 3 p.m. The classic Hansel and Gretel fairy tale is a 60-minute musical appropriate for families to enjoy together, with lessons new and old that resonate just as they have for generations. Cassavetes gained notoriety in 1955 as a vicious killer in The Night Holds Terror, and as a juvenile delinquent in the live TV drama Crime in the Streets. Cassavetes guest-starred in the crime drama, Decoy, and he also played Johnny Staccato, the title character in a television series about a jazz pianist who also worked as a private detective. 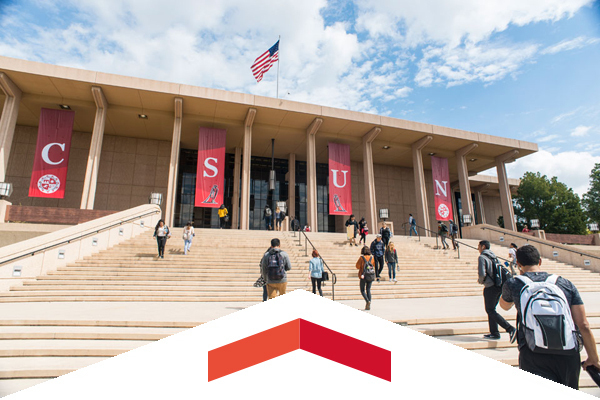 You’re invited to CSUN’s biggest reunion in almost a decade. Make connections with CSUN alumni and enjoy a BBQ, compete in the Matador Motorway and stay for an exciting CSUN Men’s Basketball game. Tickets are on sale now! Oshae Rodgers was awarded a 2016 CSU Trustee Award and scholarship for demonstrating superior academic performance, personal accomplishments and community service. The Matadors kick off the new season on Feb. 10 in the Hillenbrand Invitational Tournament, and have their home opener on March 7. The team, which is coming off an impressive 34-22 record in 2016, will be led by a strong core of 12 seniors. Nominations are being accepted for the 2017 Faculty Awards honoring outstanding faculty achievement. Nominations must be received in the Faculty Senate Office by Feb. 17. Supporting materials must be received by March 17. Faculty awards include the Outstanding Faculty Award; the Distinguished Teaching, Counseling or Librarianship Award; the Scholarly Publication(s) Award; Creative Accomplishment(s) Award; Extraordinary Service Award; and the Visionary Service-Learning Award. The criteria and nomination form are on the Faculty Senate website. For more information call x3263. CSUN Ecology Professor Caitlin Fong Helps Answer: Can I Use Moss to Navigate?